Business email writing refer to business correspondence, which plays a pivotal role in modern industries. Every person writing a business letter should strive to get the message across, which can be achieved only if the writer follows specific rules. Students majoring in business are often asked how to learn business email writing that will prepare them for a real working environment. If you would like to learn how to write successful business letters, we have gathered several rules for you. Emails business writing in colleges or universities should come down to real-life situations. Students strive to make a favorable influence on the business partners, colleagues, subordinates, or other possible readers of the email business writing. Learn about types of business reporting in article "Help Me Write a Business Report"
It is very important to fill out the 'Subject' field, no matter whom you write. For instance, if you would like to inform your company manager about possible changes in the scheduling of negotiations, you can name your letter as 'Changes in Scheduling'. You simply need to define the key terms for your subject of the letter. According to a business email format, your main body text should not include more than 2-3 paragraphs. Emails in business are always short. Do not forget about the needed attachments. If the letter is meant for different people, add their email address to CC. If you would like to send a hidden copy, add a BCC address. We always advise inserting a respective address when you finish writing your letter. It excludes possibilities of sending an unfinished letter by accident. Always adhere to the business email etiquette. Your language should be rather formal (depends on the addressee). If you write to your colleague, your language can be neutral or even informal. If you write to the managerial department, the choice of vocabulary should be formal. Edit your business email writing. Re-read your letter for possible typos and grammar mistakes. Moreover, make sure that you have attached the needed documents and check if they can be opened. Do not introduce yourself heavily. Your company members are bound to know who you are. If you are writing a business email for the first time, still you should not write anything that does not refer to the subject. The reader will not properly recognize the purpose of writing. Do not forget to fill out the subject field (a couple of words). If your letter should include many points, they should not be presented in one paragraph. Work on the headings that will smooth the reading. Creating bulleted lists is always preferable to efficiently discuss the topic. Do not insert pictures or any other data in the text, but rather in attachments. Writing successful business letters is always associated with some urgent events like an upcoming meeting, gathering of all company members, sending updated tasks, etc. Usually, business emails discuss one specific topic only, which can be found in the subject field. 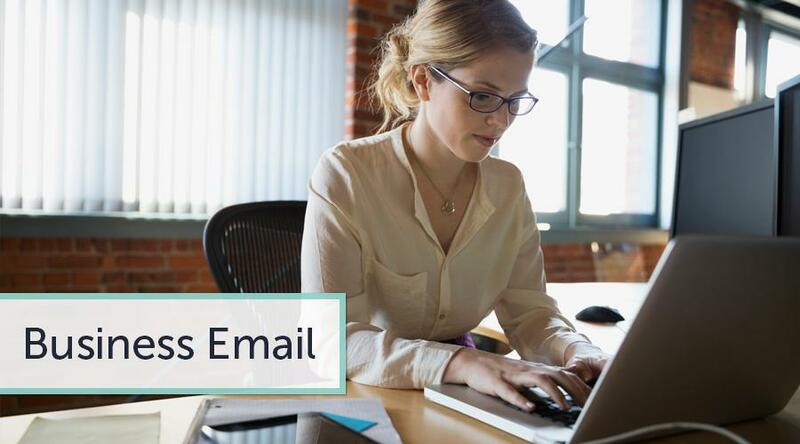 Therefore, it is very important to title the email correctly, so that the recipient will not ignore it, thinking that this letter is not urgent and he/she can proceed with more important tasks rather than reply to the letter.